The Vancouver Apartment is two-level, with two bedrooms downstairs. 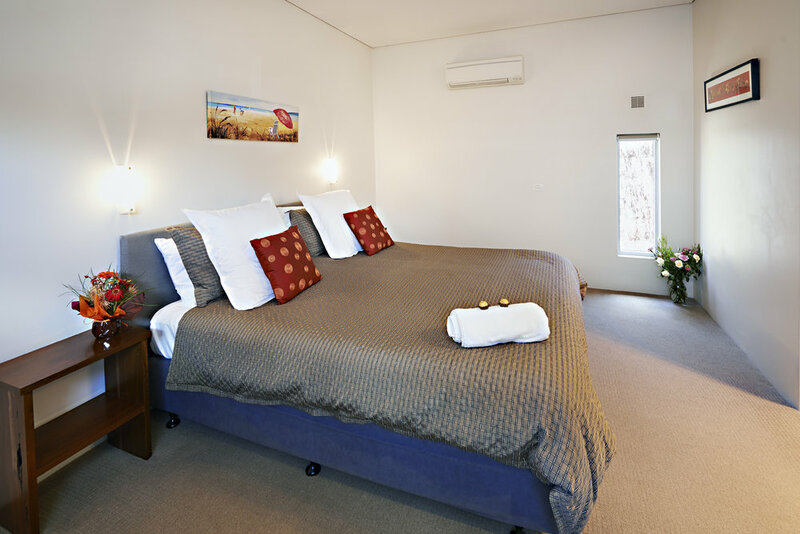 The main bedroom features a luxurious king size bed with a pure wool doona. The spacious en suite bathroom has double showers, heated towel rail, timber benches and double hand basins. The second bedroom also has a king bed and its own bathroom. The laundry is also downstairs. Upstairs is a well-equipped galley kitchen including an electric oven and gas top, microwave and fridge. The separate sitting room features leather lounges, fine timber coffee table, digital TV, DVD, Blue-Ray and Bose sound system. Complimentary Wi-Fi is available to guests. The dining room has a large six place table, with panoramic views of Albany town and Mt Clarence. A north-facing deck (with mini Webber BBQ) off the upstairs dining room provides even greater access to the view. Both floors are fully air conditioned with reverse cycle air conditioning. The apartment is not suitable for children. The single-level York Apartment is perfect for a couple. It is spacious, and features a separate kitchen and sitting room with a large picture window looking through trees, over the Amity Brig to Hanover Bay. The kitchen is fully equipped including a free standing cooker with electric oven and gas top, microwave and fridge. A washing machine and dryer, iron and ironing board are concealed within a tall cupboard. An island bench with bar stools separates the kitchen from the sitting area which features two single recliner lounges, coffee table, digital TV and DVD, Blue-Ray and Bose sound system. 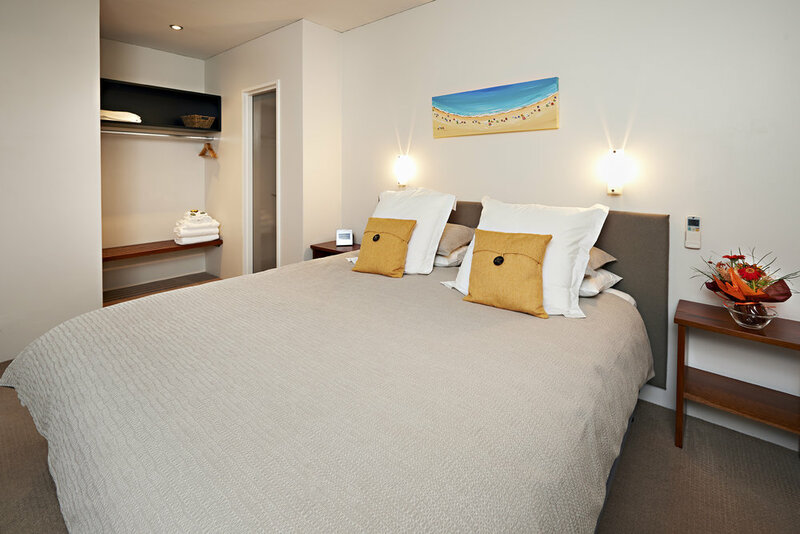 The bedroom has a king sized bed and spacious en suite bathroom with heated towel rail and double showers. This apartment is wheelchair friendly. Complimentary Wi-Fi is available to guests.